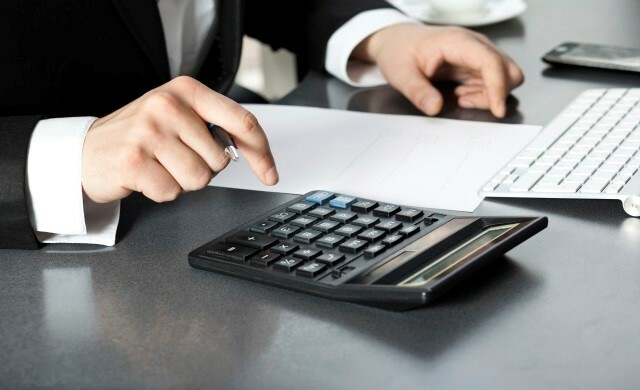 There are many benefits to hiring us as your accountant, but we thought we would keep this short with 7 reasons to hire an accountant for your business. Business owners are known to be experts in their own field or industry. These entrepreneurs tend to exercise a great degree of control over their business operations. As a result, they rarely think about hiring an accounting, tax or legal expert to help them run the business. What a lot of them do not realise is that including an accountant as a consultant can bring great value to the company. Accountants do not always have to be employed by large companies or corporations. A small business accountant brings a lot to the table for the entrepreneur. An accountant can help the owner figure out the best way of managing available assets in order to further the progress of the company. It is a smart decision to leave the financial health of your company in the hands of a diligent, knowledgeable and experienced professional who has the potential to offer valuable counsel on all financial matters concerning the business. Once your company starts growing, it becomes increasingly difficult to manage all the assets efficiently. This is where an accountant can be of great help. An accountant is trained to become familiar with and manage all the assets of a business so that they are not misused or underutilised. The accountant is in charge of dealing with the total ledger balance and all the detailed credits, debits, profits and losses associated with it. In addition to providing this unique service, an accountant will advise you on how to keep your monetary resources safe and make better use of them. They look at the financial position of your business differently from all of your other employees. It goes without saying that accountants possess advanced accounting skills. There is a huge difference between a bookkeeper handling your accounts and a trained accountant doing the same. Accountants are equipped with the ability to apply the latest technical aspects for accounting including software that prepares statements and reports within a very short period of time. Such software can also be used to access vital financial information in the blink of an eye when you need it the most. In other words, when you hire an accountant, you reap the rewards of advanced accounting technology. When it comes to managing your taxes, you have two very simple options to choose from. You can either decide to do your taxes by yourself. This will undoubtedly be very time consuming. Or, you can hire an accountant to handle your company’s taxes and keep you updated on the appropriate tax law for your small business. Accountants help verify compliance, which is needed to dispel any potential taxation problems you could have encountered. They also have extensive information about taxation breaks and can help you avail the best value claim reward. Entrepreneurs are overworked with the pressure of making and keeping their businesses profitable. The last thing you need is the burden of handling your own accounts. Many small business owners start losing money because the stress of dealing with accounts compels them to lose their focus in other aspects of the business that require their attention. Therefore, it is a sensible decision to hire an accountant who will ease up you work life. Small businesses need to keep their cash flow under control. There are so many expenses that you have to take care of that you may completely forget about saving some money for future capital investments. An accountant will teach you the art of controlling your cash flow and help create a simple and effective savings plan to avoid future financial disasters. The vision of an accountant is not to be underestimated. An accountant who has had prior experience in working for similar organisations can help you devise plans for future business projects. The gain and loss forecasts from an accountant can make it much easier for you to evaluate the viability of any future business project that you are planning to initiate. An accountant is not merely a professional in charge of handling accounts. If you hire the right accountant, he or she can play the role of an expert financial adviser. Experienced accountants are well connected in the business community. This means that they can provide your business with networking contacts and open the door to business opportunities. Making the best use of an accountant’s referrals could be an effective way of growing the stature of your small business.